This is a splash page from Coda #1. For today's post, I thought I'd actually point folks over to some recent reviews I've done for comics that might be of interest to the role-playing game crowd. I am always a big fan of supporting local comic book shops, so my suggestion would be to look on the Comic Shop Locator to see if you can find a shop near you that might have these issues, but if not, I've also included links below to where you can buy digital versions on Comixology. This is one of my favorite recent comics. It's an independent title from Boom! Studios, and in my review of the first issue, I described it as essentially a mash-up between Tolkien and Mad Max. The premise is essentially that, only a few years before the beginning of the story, there was an apocalyptic event that succeeded in destroy all magic. The characters are living in a post-magic world full of paladins, bards, and various fantasy creatures, but magic is gone. The main character is Sir Hum (he calls himself "X" but given his penchant for saying "Hm..." when people ask him questions, he's picked up the name of Sir Name), a wandering bard scoundrel who is searching for a way to save his missing wife. He rides an interesting creature referred to as a "pentacorn," which is basically like a nightmare version of a unicorn, and one that speaks, except the only thing it ever does is curse. The visuals are done in a uniquely cartoon-like style, but they are very detailed, and the world-building in the story is incredible. It's a world that would make for a fun D&D campaign, and it seems pretty clear that the creators have at least some experience with role-playing. They even include a map of the world in the back-matter of the first issue. 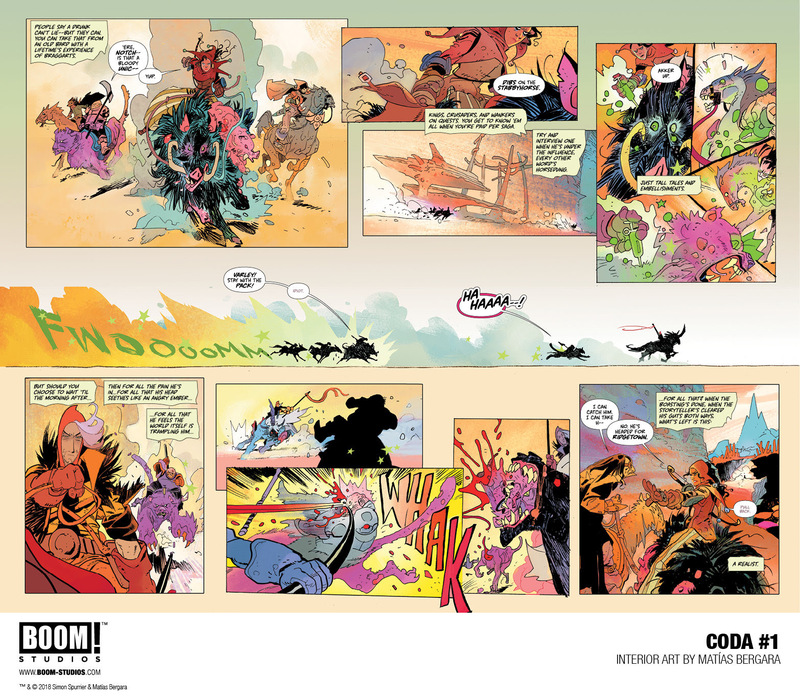 I reviewed both the first and fourth issues for ComicAttack.net. I suspect that you should still be able to find all of the issues relatively easily, but there's a chance that it might come out in a trade paperback version of the first few issues relatively soon as well. If you don't want physical copies, you can always buy them digitally at Comixology here. 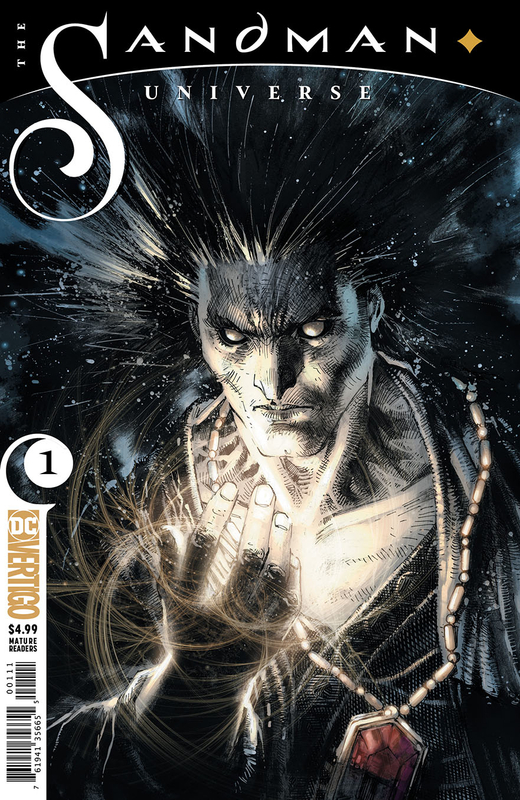 Neil Gaiman's Sandman was one of my favorite comic series, and one of the first I read that made me realize that comics don't have to all be about superheroes in capes. I highly recommend it to everyone, whether they are into comics or not. 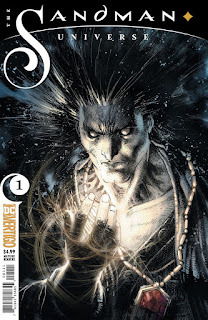 Recently, a new comic came out, called Sandman Universe, that sets the stage for a variety of new titles that take place in the Sandman universe. I reviewed the first issue here. You can buy digital copies at Comixology here. 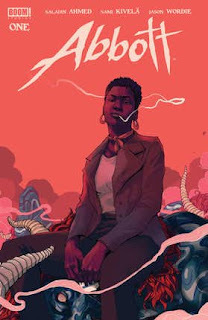 A short and sweet description: 1970's Blaxploitation noir story of a black woman reporter for a small newspaper in impoverished Detroit, investigating the murder of a young black kid, and dealing with the rampant sexism and racism of the time. Also, there's Cthulhu stuff. I really loved this book, also published by Boom! Studios. It was a short limited series that just recently ended, but you can find the issues at Comixology. 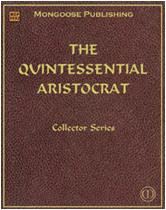 There is a trade version coming out soon, but the individual issues are also available. Aside from these, I also review a lot of DC comics for the site. If you search for my tag on ComicAttack.net, you can find all of my reviews. Let me know whether you end up reading any of these, or what books you're currently reading. This is something I've wanted to do for a while. A few years ago, I received a fun book called Super Graphic: A Visual Guide to the Comic Book Universe, as a gift. The entire book is full of fun, creative, and informative graphs for comic books, with very unique graphs such as a table of "True Colors" showing what looks like a periodic table, but with different colors to illustrate the color of each hero. On the top left is the Crimson Cavalier, along with Crimson Dynamo and Crimson Daffodil. The Scarlets are next (Scarab, Witch, and Spider), then the Reds, Pinks (light and dark), Oranges (one only: Agent Orange), Yellows, (in two tones, light and dark), and so on, until you get to the bottom right-hand corner, the "Whites" (Queen, Ghost, Dragon, and more; nine in all). Another graph uses the three primary colors of Red, Yellow, and Blue, to show which heroes utilize any/all of those colors, and the ratio of each (Spider-Man is about 60% Blue to 40% Red, for example). There is a Venn diagram of Superhero Comic Tropes (Underwear on the Outside, Tragically Dead Parents, and Cape). These are just a few examples, but it's a fun book and I highly recommend it to both comic book fans as well as those interested in design and creative ways to express data. Shortly after finishing the book, I wanted to do some similar graphs, mainly to see if I could try to replicate some of the styles from the book. I've been bitten by a bit of an artistic creative bug recently; I've started sketching again for a start, and making these graphs was a fun way to get my creative juices flowing. I chose to make a few graphs for my hardback book gaming collection, partially to see what the data would look like, and also to see what kinds of ways I could divide up my collection in a fun and different way. Depending on peoples' reactions, I might do some more of these, with my paperback RPG books and modules, my gaming PDFs, and maybe some of my comics collection. Let me know your thoughts, and if you end up making your own graphs, be sure to let me know! I created all of these below in Microsoft Excel just to get the size ratios right, but then for the bar graph and the bubble graph, I re-drew them so I could arrange the data the way I wanted without being held to the built-in graph formats in Excel. The pie charts are right out of Excel with the only manipulation being the colors and hand-created legends. I tried to do some interesting things with the colors, such as for the different editions, using the main color of the book spines as the associated color of the graphs (e.g., more than half of my 1st Edition books have that orange-colored spine, the 2nd Edition books mostly had a black spine, etc.). Some were more difficult, especially when I had to pick just one color to represent a bunch of different books/publishers (such as the gold-yellow color for "D20/OGL 3rd Party," which I picked based on the gold-yellow color of the Dawnforge book by Fantasy Flight Games, mainly because I hadn't used yellow for anything else). I'm not going to say anything else about the graphs, as hopefully they convey the information clearly, but I'll happily answer questions on the comments, or on Twitter, Facebook, or Google+. made their way into my current World of Samoth campaign. 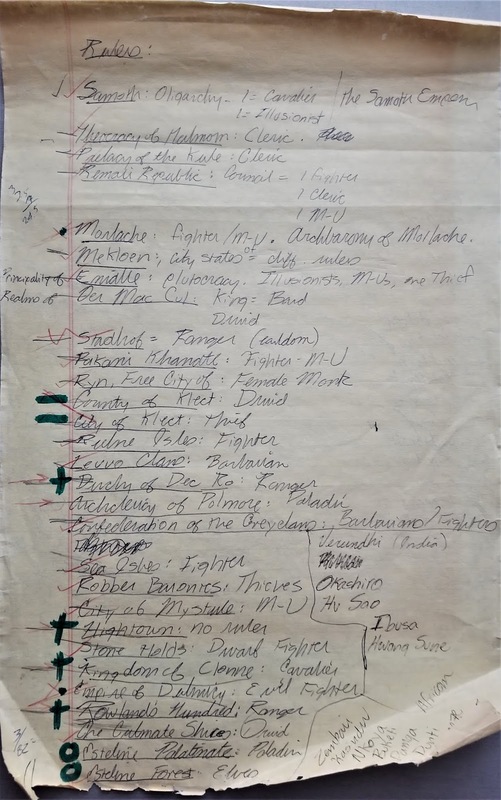 Drawn on a yellow legal pad in the summer of 1986. Today is my househhold's unofficial "last day of summer" - our daughter starts school next Monday, August 13th, which I still think is way too early, but that's just the schedule that her district is on. As this is the last day of her summer vacation, I got to thinking about some of my past summer breaks. Back when I was a kid, my mom didn't work until I was much older, so summers were spent at home, hanging out with the neighborhood kids, going on adventures on our bikes with a promise to be home before dinner, and maybe sneaking into a movie or mixing every flavor of soda at the 7-11 into one giant cup and sitting on the curb with our soda creation and the latest copy of Avengers or X-Men comics. In contrast to this, my daughter goes to a variety of different summer day camps, which is fun in its own way, but just different than how I grew up. form. The small village called "Rowland's Hundred"
As I got older, we had moved several times and often I would go through the summer before school started with no friends, as we moved on the day after the last day of school, and it was harder to meet kids because the "neighborhoods" were more spread out and I didn't have a car, so I would have to wait until school started to meet the new kids. As such, I spent a lot of time alone, reading, researching, drawing, and working on D&D campaigns. At this stage, I had played with some friends in the past, but moving caused me to lose my game group. 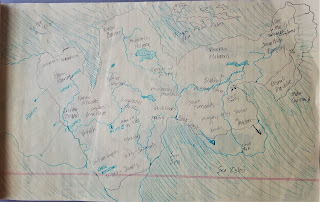 I had never DM'd, but creating a campaign world is almost a way of playing D&D "by yourself," and it indulged my creative streak to develop cultures, religions, and societies, draw maps, and the occasional sketch of various characters. I've talked before about how I used a hodge-podge of different resources to create what eventually became my World of Samoth campaign, including Earth history, the world of Conan, access to my parents 1963 World Book Encyclopedia series, 25+ years of National Geographic magazines, and a variety of TSR game worlds including Dragonlance but most importantly the B/X D&D "Known World" and of course Greyhawk. 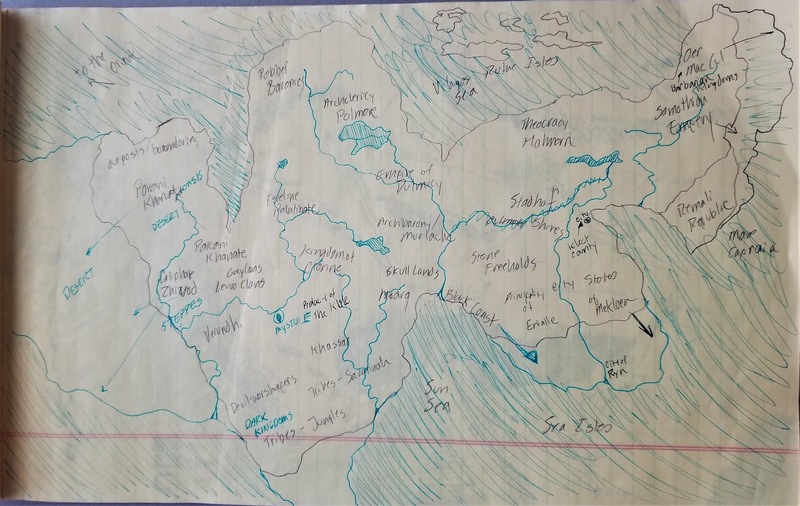 I also mentioned how I would incorporate the personalities and even the names of my various classmates into my game world cultures and countries. 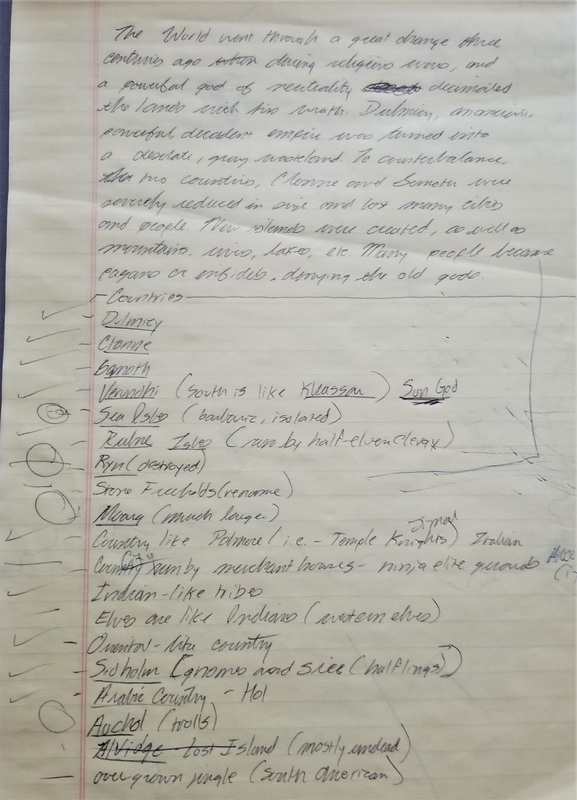 I still have all of my old notes that I used to develop my game world; pretty much everything from fully drawn maps to hastily written notes on a scrap piece of paper or post-it note that I jotted down at a library while researching a topic. It's a very weird personality trait that I can't seem to break - I keep everything, such as email folders full of every personal email I've sent or received. I never go back and read them, so I'm not sure why I keep them, but my penchant to keeping and organizing everything carries over to every aspect of my life. I guess you'd call it a collector's mentality. 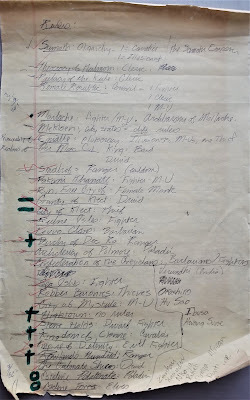 list shown earlier. The world had a very "pulp"
jungle" for the South American equivalent. different types of elves named after animals. version, for reasons I've discussed before. 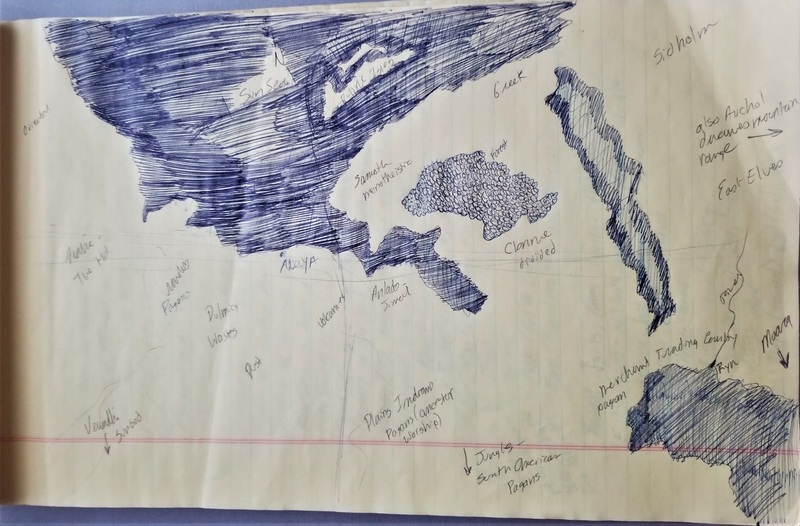 In any event, back in the summer of 1986, right before my junior year of high school, I spent a ton of time alone in my room drawing maps and writing notes concerning a D&D campaign I wanted to run some day. I was really into the band U2 back in that time; this was right before the "Joshua Tree" album came out, and I had discovered a small 4-song "EP" on cassette tape called "Wide Awake in America" that included live versions of two songs from the "Unforgettable Fire" album and two new tracks that hadn't made the album. One of those songs, "Three Sunrises" became one of my favorites and I used to listen to it all the time. It's one of those songs that, when I hear it, I am instantly transported back to that summer of 1986, lying on my bedroom floor at my parent's house, with my maps, notebooks, comics, and D&D rulebooks and modules all spread out in front of me, working on my campaign. 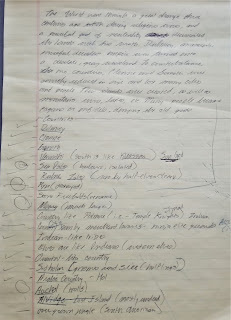 I heard the song recently pop up on one of my playlists on Spotify, and I had an urge to go searching for a bunch of my old notes. Here are a few pictures of them for those that are interested to see some very early, "proto-Samoth" materials. Anyone else out there hold on to old things like this? I can't be the only one, right? summer of 1986. For another early map. see this post.